The application process is truly holistic, and committees will look at your stats (GPA and GMAT), work experience, and extracurriculars. Your GPA and GMAT are strong, so that is a great start. And you do not have to, but if you haven’t already, I suggest taking it up to 3-4 times. You have nothing to lose since schools will only look at your highest score. And even a slight increase can boost your profile. It is hard to gauge your work experience without knowing your accomplishments and impact you have made there. It sounds like you have two impressive future options to consider. However, choose either the autonomous driving company or the fintech start-up based on your own preference, as opposed to what would “look” better in the eyes of an admissions committee. It is much more important to show an MBA program that you made an impact and took on leadership roles in that role. It is also important to illustrate in your essays why, based on your experience, you need an MBA. 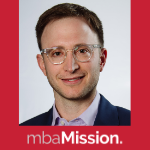 So as long as you can show that you did well in your role, and that it now makes sense for you to get an MBA – and that you have clear, realistic, and specific post-MBA goals - it doesn’t matter which company you chose. Also, the average years of work experience is closer to 5, so if you choose to apply with fewer years, make sure you demonstrate why now is the time. And because of your lighter experience, it’s even more important to show you have made an impact and demonstrated leadership there. Ideally this will be supported by a strong recommendation letters as well. Regarding extracurriculars, make sure to really emphasize your leadership roles you have taken on. If you continue to strengthen your profile, you do have a chance at top schools, but they are extremely competitive, and each school simply does not have the room to admit all the world's qualified applicants. For that reason, I suggest apply to several schools, including reach, target and safety. Hopefully they will see that you have a compelling story and are someone who will add value to the classroom and community. This is my first post and would appreciate a profile evaluation. Targeting R2 2019 or R1 2020. Work experience: 2+ year working as software development engineer at Microsoft (Azure SQL Data Team) and about to transition to either a US-based autonomous driving company as software engineer (think of Cruise, Zoox) or a fintech start-up in Southeast Asia as AI engineer with a product management track. Question: which one is better from MBA admission perspective? 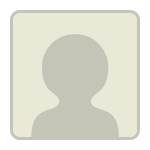 Thank you for your post and for sharing your profile. Congrats on a great GMAT! I really like that you have international experience, which you will want to emphasize in your applications. You will also want to emphasize the type of work you do/have done in relation to your future career plans. As to your objective, I encourage you spend a bit of time fleshing out your need for an MBA and specifically your need for a Wharton MBA. A challenge you will face is your "low GPA." You might want to consider coursework you can enroll in between now and application season to help boost your academics (think HBS's CORe and not so much Coursera/Edx). Also, be sure to address your GPA in an addendum come application season - not as a way to present yourself as a victim, but only present the facts. As to your community work, you might want to spend some time there - not sure what "punctual volunteering work" means, nor do I know if this is something you are currently involved in, but see if you can increase the scope of your responsibilities, especially as they relate to your passions. I am happy to continue the conversation over a profile evaluation call, so I can get a better idea of your experiences and guide your pre-MBA prep work. If interested, please reach out. Long long shot here but I feel like the Wharton Lauder program is the only program that fits both my passion and goals. I graduated from a state school in California with a BS in Animal Science and a BA in History. My cumulative GPA came out to 3.13 but my History GPA is around a 3.7. I also have a minor in Asian Studies and am proficient in Japanese. After graduating, I’ve been working as a research associate at a reputable hospital for two years. I’m on my way to publishing 3-4 papers this year. I haven’t taken the GMAT but practice tests have me at 720-740. Do I still have a shot at this program with a low GPA and no business experience? Thank you in advance! Thank you for your question. Can you share more details about your role as a research associate, and what your goals are? 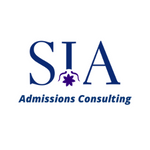 If you prefer a private discussion, please feel free to reach out (info@siaadmissions.com). • 24 year old Indian male. • Top Engineering college (and consistently top 10 globally in overall rankings) in the UK (integrated masters: Bachelors + Masters in 4 years. This is common in the UK). Masters in Economics & Finance at Oxford/Cambridge. • Summer internships: 1 in the technology division of an American bank; 1 on the the trading floor of a bulge bracket investment bank. Both in London. • Took a year off before starting work at Bain London to go climb some of the highest mountains across the Himalayas and Andes (not trekking - actual climbing from bottom to the top). Here, I climbed with and met strangers from all over the world (America, Canada, Nepal, UK, Argentina, Brazil). I was trained by the Indian Army Mountaineering team for a month long course at Asia's #1 mountaineering institute where I received an 'A' grade (top of my class). Also, one of the youngest Indian's to climb the highest mountain outside Asia and was selected as the youngest member of a joint Indian-Canadian expedition to Mt. Everest until I got injured during training prior to the climb and had to pull out. • Recently co-founded a social venture which provides a platform to pair students looking for help with jobs/college admissions with mentors in universities/jobs they want in exchange for donations to charity. Have raised $20,000 for mental health & education charities. • Additionally, I mentored 15+ URM college applicants from Europe, India, & the US for undergraduate college admissions & internships in finance/consulting. Over 90% of them received offers to top 5 UK universities, & their top-choice internships. • Board member (youngest) of a non-profit that offers free STEM education to 100,000+ young people that were denied access to education due to war, poverty, disability or gender. • Won 3-4 "Young leader" type awards. One of them was for being in the top 100 future leaders from British universities (100 out of 1000+ nominations UK wide); Another was Top 100 future UK leaders out of 7000+ nominations from over 150 UK colleges. Post-MBA goal: Return to Bain for 2 years then move into VC analysing investments in the EdTech space in India. Other factors: I've applied twice for the 2+2/Stanford Deferred programs unsuccessfully (no interviews). Once in my final year of undergrad, once right after that during my 1-year masters. Will this go against me in 2-3 years when I apply as a regular applicant?